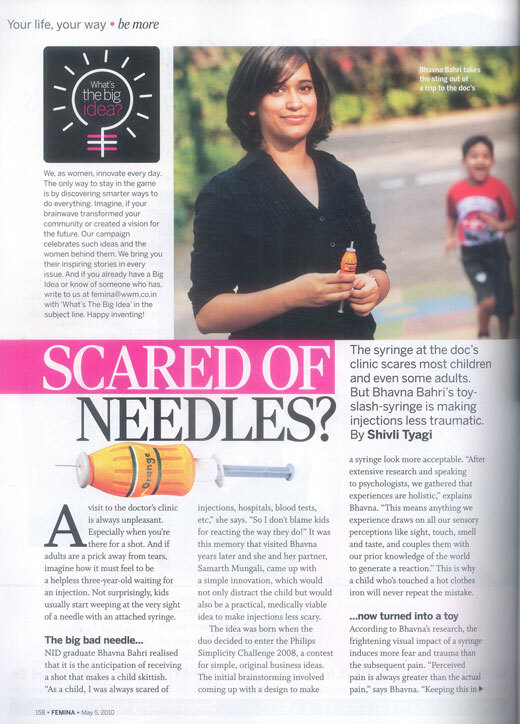 No Formulae has been featured in the May 5th 2010 issue of Femina. 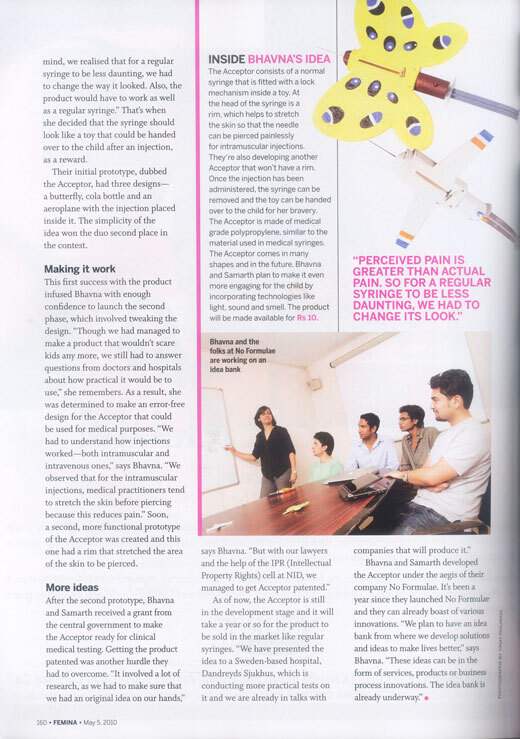 The article talks about the ACCEPTOR and No Formulae’s upcoming idea bank which comprises of many creative products, services and business processes that are being conjured up by the No Formulae team. These market ready designful innovations would be our contribution to the people, economy and the planet.